Vic joined Hireology’s Board in 2018 and is the Managing Partner of Lightbank. Vic is a native of Cleveland, Ohio and began his professional career in Chicago in 1994. Vic has over 17 years of experience in venture capital, fintech investing and financial services. He has been a part of over $600M in venture capital and M&A transactions. Vic has taken multiple companies public and through successful acquisitions. Vic currently serves on the boards of Clearcover, Snapsheet, Carlease.com, Sprout Social, Fooda, Hireology, Ionic, Hatch Loyalty, Benchprep and Billtrim. Vic is also an advisor to the Chicago Blockchain Center, Currency and Fintech 71. He supports a broad array of financial services innovation efforts. 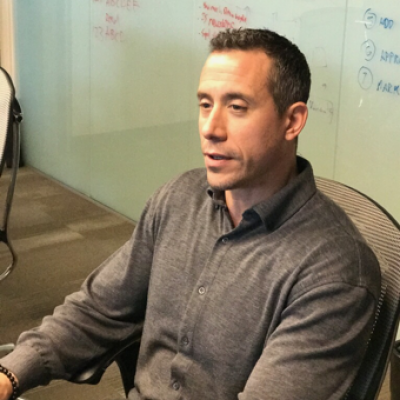 Prior to Lightbank, Vic built and managed USAA’s $330 million corporate venture capital program where he led investments in fintech (insurtech, banking, investment management), consumer internet, enterprise technologies and digital capabilities. He also had responsibility for the company’s M&A, joint ventures and intellectual property transactions. Most recently, Vic was a Partner with Munich Re | HSB Ventures where he led their investment activities in insurtech.